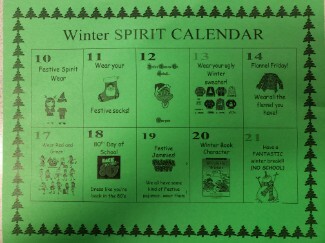 It's Winter Spirit Wear time! 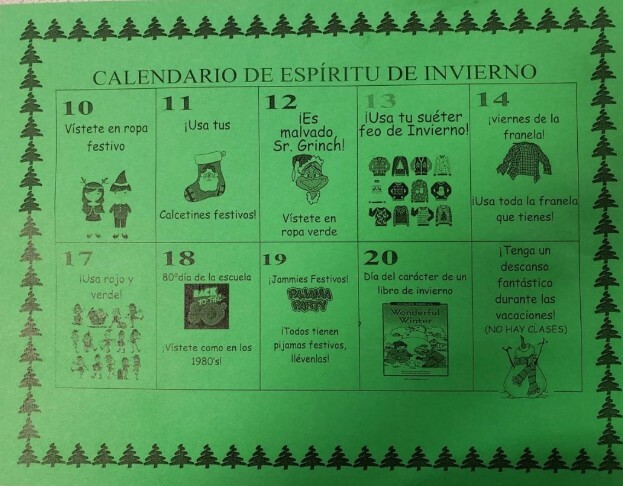 By definition, a tradition is an inherited, established, or customary pattern of thought, action, or behavior and here at Erma Nash Elementary School we have many traditions that we are proud and excited to have, one being our "Winter Spirit Wear" calendar, brought to us by none other, our Principal, Ms. Tiffanie King. For the next two weeks, as you walk the halls in our school, you're likely to see elves, snowmen, festive socks, pajamas galore, and you may hear bells ringing and jingling, or see mini versions of the jolly man himself, Santa. But fear not, teaching and learning will continue, just in a more colorful, festive, sort of way.